With her upbeat personality and nurturing bedside manner, Marianette Abapo, PT, makes physical therapy a comfortable and rewarding experience for her patients. Marianette cares for patients at Peak Medical in Berkeley Heights, New Jersey. A native of the Philippines, Marianette relocated to Arizona with her family when she was 4 years old. She ultimately decided to return to the Philippines to complete her bachelor’s in physical therapy from Velez College. Shortly after graduating, Marianette returned to the United States and settled in New Jersey to practice in 2018. She’s been a valued team member at Peak Medical ever since. Marianette’s path to becoming a physical therapist began with her own injury when she dislocated her shoulder as a high school athlete. After working closely with a physical therapist for several months, Marianette was able to return to sports again and perform with no limitations. 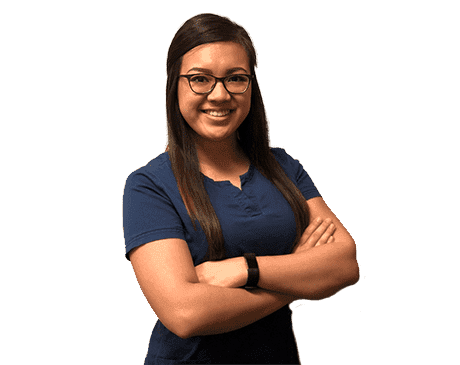 Marianette, who is fluent in English, Tagalog, and Cebuano, is known for using her own personal experience to help patients find their inner strength and overcome injuries. Outside of the clinic, Marianette stays as active as possible by exploring the outdoors and exercising at the gym. Because she’s naturally creative, Marianette enjoys spending time doing hair and makeup for her friends and family. She also likes to read and binge watch medical dramas whenever time allows.